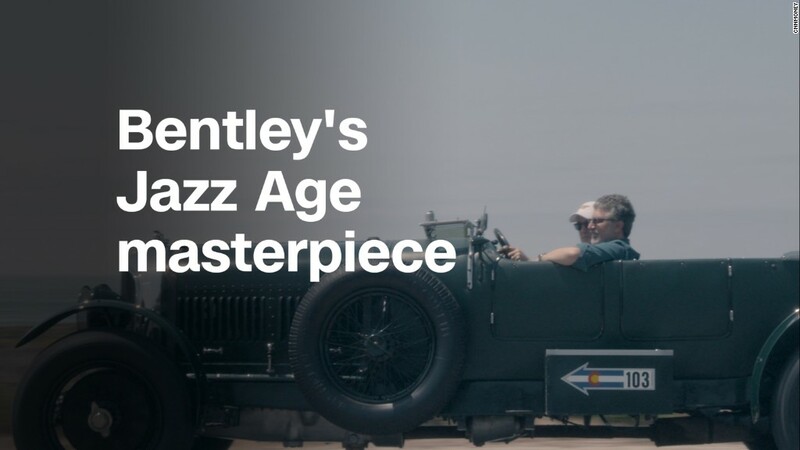 When you think of Bentley, you probably think of lounging in a big leather back seat, sipping champagne and maybe licking a spot of Grey Poupon off your pinky finger. Nope. That's Rolls-Royce. But your confusion is understandable. For about 70 years Rolls-Royce owned Bentley and, during that time, there really wasn't an awful lot of difference the two. Bentleys were Rolls-Royces but a little different. Since then, though, the two manufacturers have gone their own ways. Rolls-Royce is now owned by BMW, and is all about being the ultimate opulence machine. Meanwhile Bentley, which is now owned by Volkswagen, is returning its long-lost roots as a race car company. Comfort and luxury, yes, but with a heavy dollop of speed. In May 2015, a Bentley GT set a speed record with actor Idris Elba at the wheel. Then, in September of that same year, a Bentley Bentayga became the world's fastest production SUV, hitting 187 miles an hour on a test track. 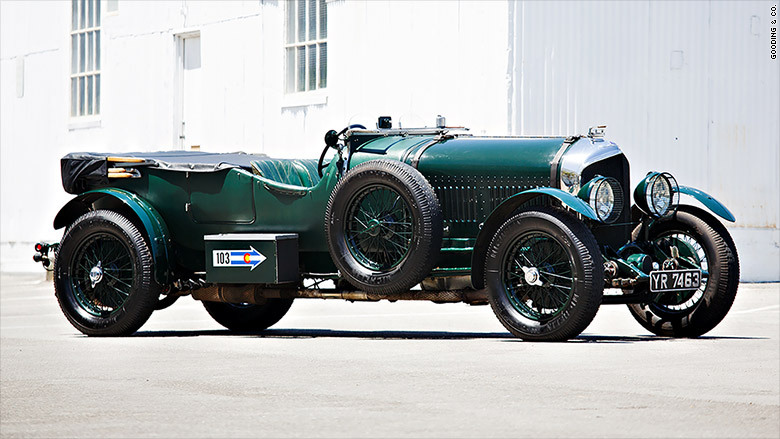 Bentley first achieved fame in the 1920s, on the race track. The Bentley Boys, a crew of British race drivers, helped make the brand famous when they racked up piles of race wins in the 1920s. Bentley's race cars were big and not particularly light, but they were fast enough to beat the likes of Bugatti on the track. Those victories translated into sales. David Gooding, head of the classic car auction company Gooding & Co., took me out for a ride in one of Bentley's top performance models of that time, a 1926 6-1/2 Liter LeMans Sport. The day after we drove it, it would sell for $700,000. It would have gone for more, Gooding said, had the body been original. But like the original, this car's body was made largely from Rexine, a sort of faux leather, stretched over a wood framework. Its massive 6-cylinder engine could produce about 180-horsepower. You can get as much power from a 4-cylinder Toyota Camry today, but that was eye-popping back then. 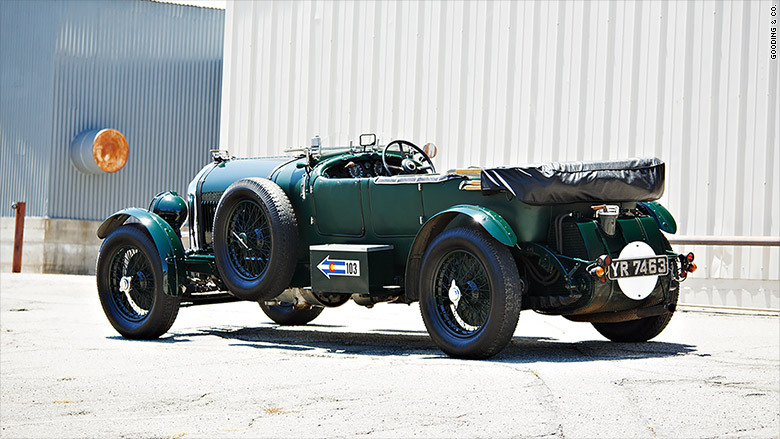 This 1926 Bentley 6-1/2 Litre Le Mans Sports is a replica. Just sitting in the car reminded me of the courage race drivers had then. Sitting high on its tall, skinny tires, it had no stability control, anti-lock brakes or airbags, of course, but it also lacked a roll cage and seatbelts. The engine roared and the transmission gears whirred as we rounded curves along the California coastline. As we headed into a tight turn, Gooding told me this car wasn't really designed for cornering -- still, he didn't slow much. It was built for flat out speed on the straights. The ride was surprisingly Bentley-like and I could tell the power would have been immense to someone used to ordinary 1920s driving. 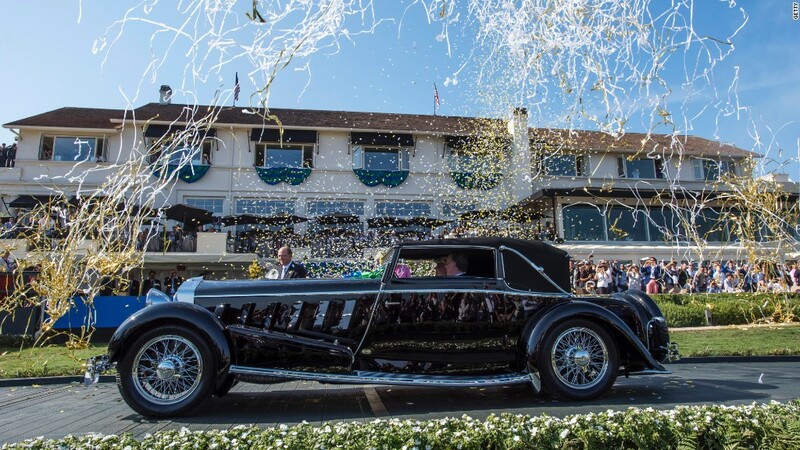 In the 1970s, the body on this 1926 car was converted to make it an open-top car. This wasn't his own car, but Gooding has one like just it in his collection. He likes to take his Bentley 6-1/2 Litre out on the interstate, he said. It's great fun charging down the left lane at 80 or 90 miles an hour and watching drivers glance in their rearview mirrors then move aside for what is, apparently, a freight train coming up on them. Like turns, stopping is also not this car's strength, he told me. Panic stops are cause for legitimate panic. 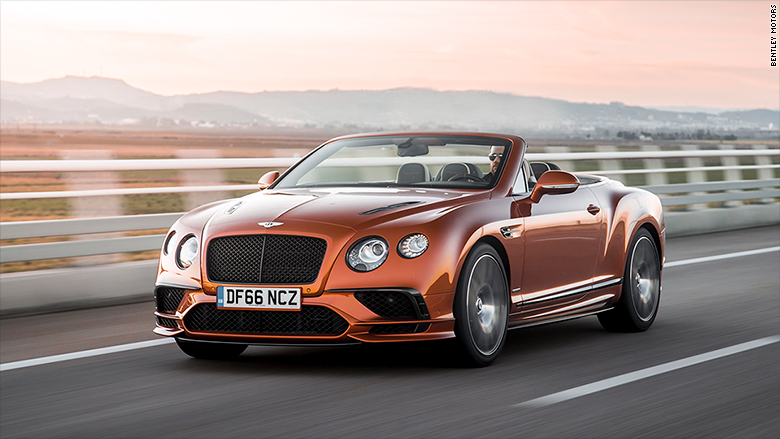 The Modern Bentley Continental GT retains much of the personality of its Jazz Age progenitor. "When you lock up the brakes at 85 miles an hour, it gets, um, exciting," he said. I've driven plenty of modern Bentleys that are, quieter, faster and way better at cornering and stopping than the LeMans Sport. It was surprising, though, how straight a line could be drawn from that car to Bentley's modern Continental GT. Granted, Bentley spent over 70 years owned by Rolls-Royce. But, ultimately, the car maker came around to more or less the same place: Producing big, comfortable, fast cars.